The E1 also has a balanced steel frame which eliminates rocking while maintaining a compact footprint, which makes it ideal for your home workout area (particularly when space is a concern). Combined with its durable components, the steel frame supports users up to 275 pounds while the unit's front transport wheels make it easy to move around. 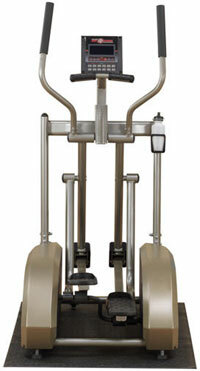 Proper pedal spacing on this elliptical eliminates hip fatigue--when your feet are forced out too wide or in too narrow, your body will incur undue strain on your hips. 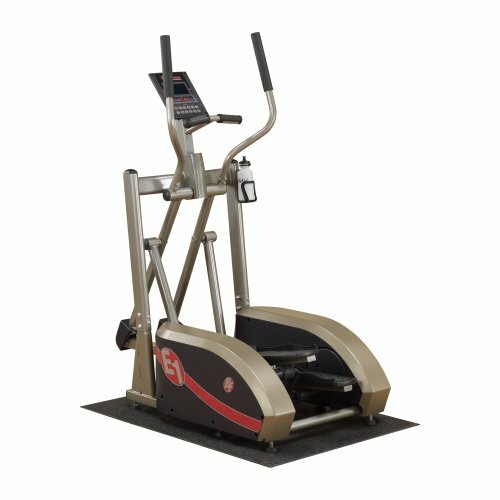 The E1 also offers a comfortable step-up height to allow you to start your workouts safely while its moving arms recruit your upper body and core to the workout, making this a total body trainer. The E1 offers a compact footprint that's ideal for smaller spaces. The E1's console tracks your time, distance, speed, and calories while proper pedal spacing eliminates hip fatigue.